The Department of Aerospace Engineering requires a GPA of 3.00 on a 4.00 scale (A=4) for previous B.S. degree and graduate work. However, having a GPA higher than the minimum is no guarantee of admission. Also applicants having an MS degree generally must meet a higher standard. Applicants must have a B.S. degree in aerospace engineering or a closely related field such as mechanical or civil engineering from an accredited college in the United States or an approved institution of higher learning abroad in order to be eligible to apply. The department rarely admits students whose backgrounds are not in aerospace engineering. However, when such students are admitted it is usually necessary for those students to take undergraduate-level courses in their area of interest not-for-credit in order to meet the graduate courses prerequisites. Students whose backgrounds are not in aerospace engineering should make sure they have the necessary background for the graduate program. The department does not have a minimum score requirement for the GRE but a quantitative score in the 80th percentile is recommended. Scores on the Graduate Record Examination, General Test, are required of all applicants to the Department of Aerospace Engineering. Score reports must be coded to reach our program directly from ETS. 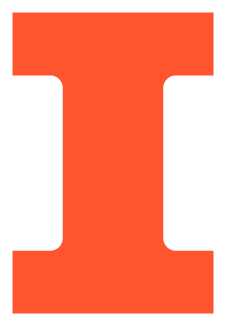 The code for the University of Illinois at Urbana-Champaign is 1836. The code for the Department of Aerospace Engineering is 1601. Scores from ETS are entered into one university database so there is no need to resubmit scores if you apply to more than one department. The minimum Test of English as a Foreign Language (TOEFL) score for admission is 103. Students who wish to be considered for teaching assistantships should have a score of at least 24 on the Speak section of the TOEFL exam. The TOEFL is required of applicants whose native language is not English, regardless of U.S. citizenship. We will also accept IELTS scores. For more information, please check English proficiency requirements. Please use the University's online graduate application. Please read the application instructions. A checklist is provided to help you assemble the information and support material you will need when completing the application. A nonrefundable application processing fee is required with the submission of your application. This fee cannot be waived. The application fee for domestic applicants is $70; for international applicants, the fee is $90. In the Educational History section of the application, you will be asked to upload scanned versions of your transcripts and certificates of degree or diplomas. Please view your transcripts after the upload to be sure they are legible. Your transcript must show the name of the university and your name. Please do NOT mail a copy of the credentials which you have uploaded to your online application. In the Statements section of the application, please upload your resume and statement of purpose. The statement of purpose should be approximately 1-2 pages, single spaced, 12 pt. font. Official GRE scores for general test from ETS. The Certification of Declaration of Finances form and funding documents (Documents must be submitted online). These documents are only required for international applicants and are only needed if no department funding is offered. AE does not require evidence of financial resources at the time you submit your application. If you are approved for admission, but a funding offer is not made to you, you will be asked to upload evidence of financial resources. No program specific questions are required for the Aerospace Engineering Department. All applicants are automatically considered for financial support in the form of fellowships, research assistantships, and teaching assistantships. There is no separate application to be considered for financial support. Please do not send additional materials (e.g. publications, photographs, videos, CDs, or portfolios). These items are not reviewed during the admission process and they will be discarded. Please do NOT mail or fax a copy of credentials which you have uploaded to your online application. This saves you the time, effort, and the expense of mailing transcripts to us during the initial processing and review of your application. Students in the MS Non-thesis program are not provided funding by the Department of Aerospace Engineering.